So, now that you know what email marketing is and why you might use it for your business let’s dive into a few of the advantages of email marketing. Gone are the days of one size messaging, with email marketing you can leverage personalization making each email tailored to your customer. The simplest way to personalize emails is to address the customer based on the information they’ve shared with you so far, whether they’ve opted in to receive a certain piece of information from a specific page of your website or identified to you that they want to be contacted to explore a specific service offering. 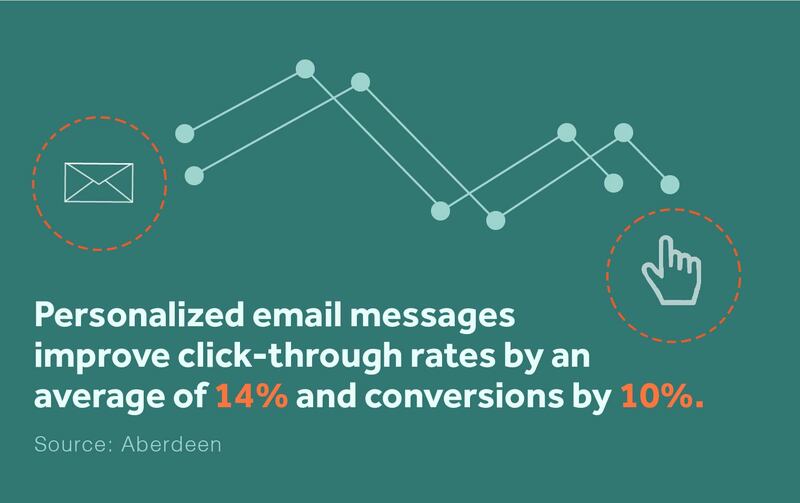 According to Aberdeen, personalized email messages improve click-through rates by an average of 14% and conversions by 10%. So no matter how you slice it personalization is a major benefit of email marketing. With email marketing, you will be able to build lists of engaged subscribers. There are people who opted into receiving your messages and are more than likely happy to receive your content. The best case scenario is when a subscriber tells you exactly what they’re interested in receiving communication about. By adding pointed calls to action to your website and landing pages, subscribers can be segmented into lists based on their interests - building a list can sometimes take time and work, but the applications are extremely powerful. Growing your email list takes a consistent effort but it’s a major benefit of email marketing. Compared to other marketing efforts, email marketing can be highly disruptive—in a good way. You can use email marketing to your advantage by tailoring different types of email marketing campaigns to the interests of your audience segments. For example, when a new customer opts in to receive communication from you, you can send a welcome email. With a welcome email, you have the chance to introduce yourself and build familiarity with your services. From there, an automated drip campaign can build the story about your company and continue to add value to your subscribers. Don’t be afraid to give information away for free. This approach deepens relationships with your target consumers so that when they are ready to engage with you on a paid project, you’re starting from a mutual place of trust. Remember, a campaign is a way to reach out to a prospect, subscriber or customer multiple times in a strategic, systematic approach—not a way to clog up their inbox with sales. So pick an automated email marketing campaign idea that engages with your consumers in a thoughtful way. Gone are the days of the monthly email newsletter. You should plan to include at least 3 emails in an automated drip campaign that fires automatically based on a user’s trigger action. Test this campaign over time, review engagement, and make adjustments accordingly. And following up with a personal message to the user after you’ve seen they’ve opened your messages is never a bad idea! Let the user know that there is a real human on the other end of your messaging. With the many advantages of email marketing something to keep in mind is that your messaging should make your customers look forward to opening an email from you. 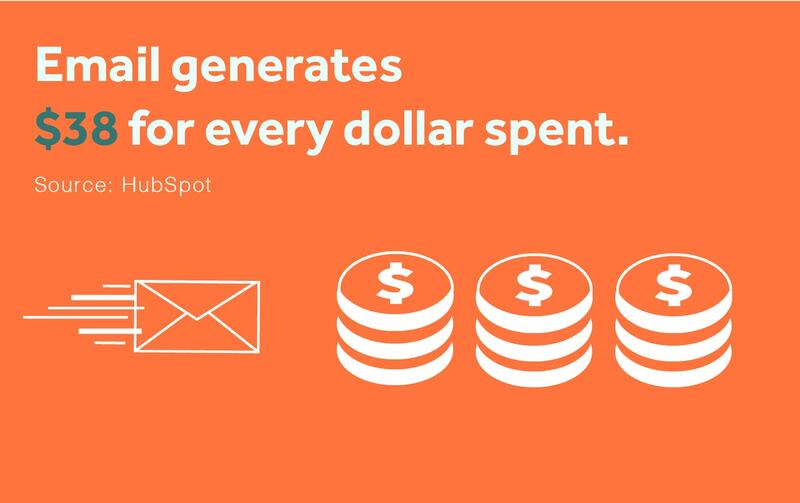 At it’s best, email marketing can deepen customer relationships, build brand awareness and generate leads. If you haven’t added email to your marketing strategy, you are missing out!